This handy kitchen tool easily opens cans, bottles and jars. 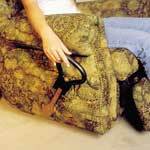 Ergonomically designed for a secure and comfortable grip. 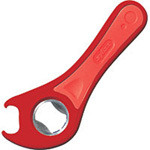 Made of sturdy durable plastic with metal insert. Measures 6 in long. Dishwsher safe. Assorted colors.